I hope you are all having a good week, today’s Status Update brings everyone the final information regarding the 2018 Football Jamboree as well as some information about other events players can look forward to over the summer break! The Football Jamboree is an event like none other on the calendar year and it is easy to participate! 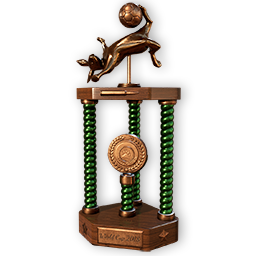 This year there are two competitions, the ‘Main Event’ and ‘theHunter Football Jamboree League’. 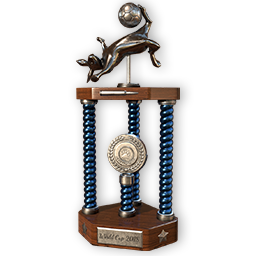 Waaaaaaay more information about both competitions, as well as score sheets and all the teams for the ‘Main Event’ can be found in this post HERE in our forum. On top of the Football Jamboree, we are also going to be hosting the annual ‘Midsummer Event’, which runs from June the 20th to June the 25th. 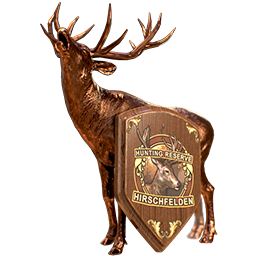 That is 5 days of even more competitions, sales and a very nice mission pack to look forward too. Even though we are thin on the ground due to holidays, we are still bringing you the content! More details will be available next week. This wraps up the last week of this competition, they appear to have been much harder to find than the Whitetail or Moose variations… I guess that’s why they call them ‘rares’! ‘Nockedup’, for this very nice Mule Buck! A nice trophy shot and with a score of 138.936 it gives it a great visual boost as well! Barrel/Bait Sites. Investigation has commenced and we will update with more information when we have it. Please continue to provide your input on the bug forums as we are having difficult replicating this issue. The more information we have the sooner we will have a fix to you! Gun Wobble in Towers. We think this one has been squished, we are putting it through the testing phase. 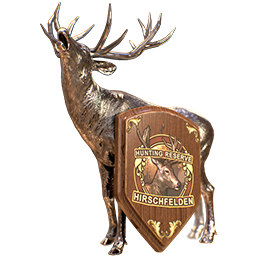 As soon as we are happy, we will add it into the next patch. Projectiles not registering after 500m. We are currently investigating, we know why it is happening, we just have to work out how to fix it. Deployable Targets Not Rendering beyond 220m. We are confident that we have this one nailed as well. As soon as we finish the testing it will be added to the next patch. Fast Traveling Ropes. We are confident that we have this one nailed as well. As soon as we finish the testing it will be added to the next patch. You can expect a very healthy patch in the near future. 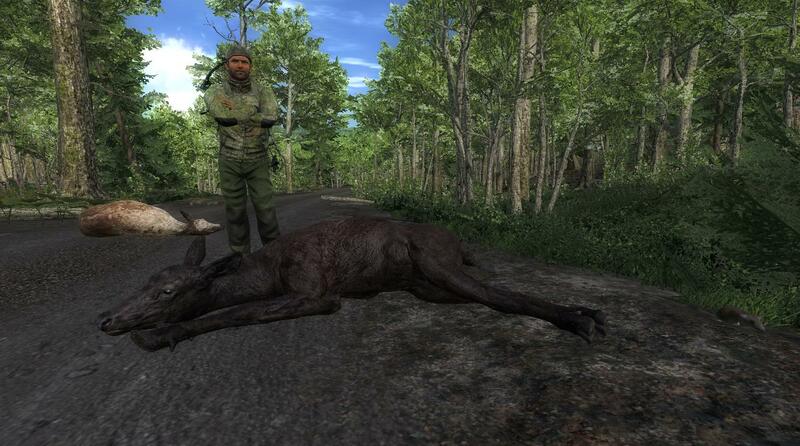 The ‘Trophy of the Week’ is this monstrous Moose which was shot by forum user ‘Nathan112244’. It has a massive score of 225.307, congratulations! 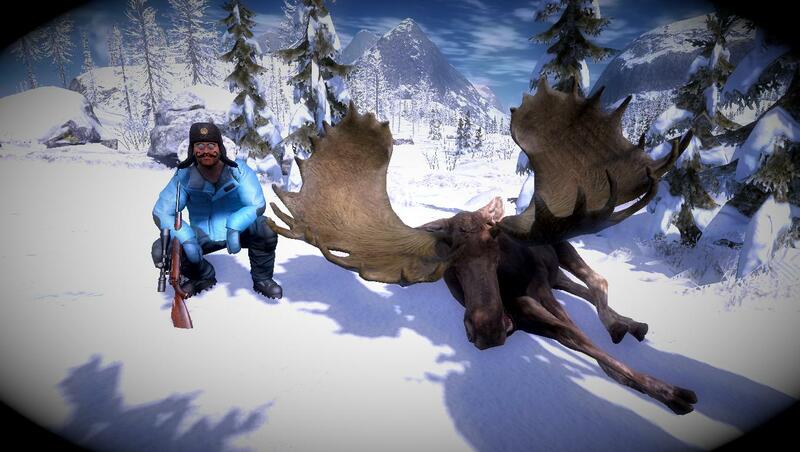 If you are unsure of what many consider a trophy Moose, it is anything over the 200 scoring mark. And the ‘Rare of the Week’ goes to ‘Sova’ for this double rare picture. 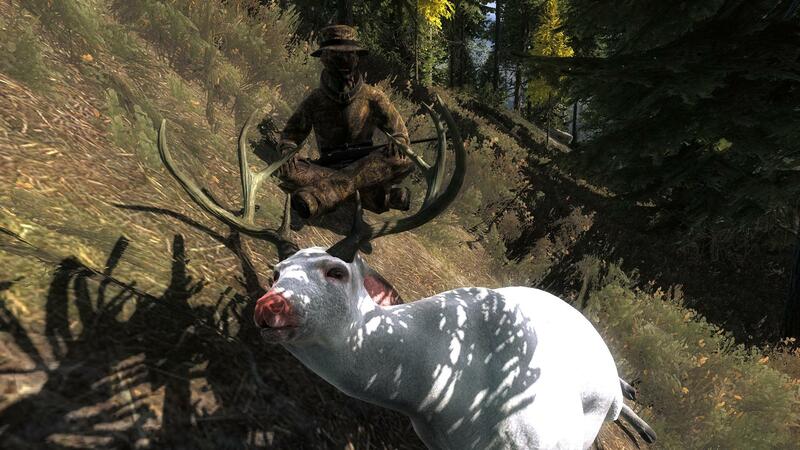 One Piebald and one Melanistic Elk! I do believe that is an entry into the super rare gallery, congratulations! 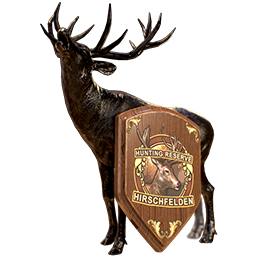 This week’s free rotation, lets our guest hunters test their skills against Grey Wolf and Rocky Mountain Elk. Good luck and have fun!